Russia said on Thursday that OPEC had proposed oil production cuts of up to 5 percent in what would be the first global deal in over a decade to help reduce a glut of crude and prop up sinking prices. 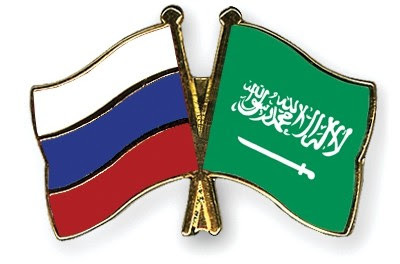 It remained unclear whether Russian Energy Minister Alexander Novak was referring to a months old proposal by OPEC members Venezuela and Algeria or a new proposal backed by OPEC leader Saudi Arabia. Saudi officials did not immediately comment on the proposal, and a Gulf OPEC delegate said it came from Venezuela and Algeria. For non-OPEC member Russia, the world's top producer, that would represent an output cut of around 500,000 bpd. Benchmark Brent futures LCOc1 jumped as much as 8 percent to nearly $36 a barrel on hopes for a deal that could immediately reduce surplus global output by 1 million barrels per day (bpd). Brent was trading at around $34 a barrel at 1940 GMT. Higher crude prices would be welcomed by oil-rich countries where the steep slide has squeezed budgets and caused political turmoil. Some countries have had to devalue their currencies. "Indeed, these parameters were proposed, to cut production by each country by up to 5 percent," Novak said when asked if Saudi Arabia had made a proposal to cut output. "This is a subject for discussions, it's too early to talk about." Oil sank to 12-year lows of around $27 a barrel earlier this month, from as high as $115 some 18 months ago, as the U.S. shale oil boom boosted output and OPEC decided to pump more to fight for market share against higher-cost producers. But cheap oil has caused economic pain in many producer countries. In Saudi Arabia it has pressured the currency and opened up a record state budget deficit of around $100 billion. In Russia, the rouble hit an all-time low, street protests have flared in Azerbaijan and investors are concerned about a potential debt default by OPEC member Venezuela. Novak also told reporters there was a proposal for a meeting between the Organization of the Petroleum Exporting Countries and non-OPEC nations at the oil minister level and that Russia was ready for such talks. "There are lots of questions about the oversight over cuts," he added. Saudi Arabia has repeatedly called on non-members to contribute to output cuts if they want OPEC to help producers deal with the oil glut with the world running out of space to stockpile unwanted crude. A senior Gulf OPEC delegate said on Thursday after comments by Novak : "Gulf OPEC countries and Saudi Arabia are willing to cooperate for any action to stabilize the international oil market." Russia has long rebuffed the idea of cuts, saying its fields differ from those in the Gulf and are difficult to shut. President Vladimir Putin, who has yet to comment on the idea of joint cuts, sees the oil sector as an important bargaining chip in relations with the West that have become tense due to disagreements over Russia's annexation of the Crimea region and over the conflict in Syria. "You have to take this seriously now. Key will be if Russia can deliver," said Gary Ross, a veteran OPEC watcher and founder of U.S.-based Pira group. Brenda Kelly, head analyst at London Capital Group, said the proposed cuts were unlikely to happen. "There have been attempts in the past that have come to (nothing). Saying something about the oil price and doing something are very different things, and it seems like panic given the price drop," she said. A global deal could also be complicated by OPEC member Iran, which wants to raise output after the lifting of Western sanctions which had curtailed production for years. "Because of the international sanctions, we lost 1.1 million barrels per day of our exports. So we have to go back to our share of the market," a source familiar with Iranian thinking said.